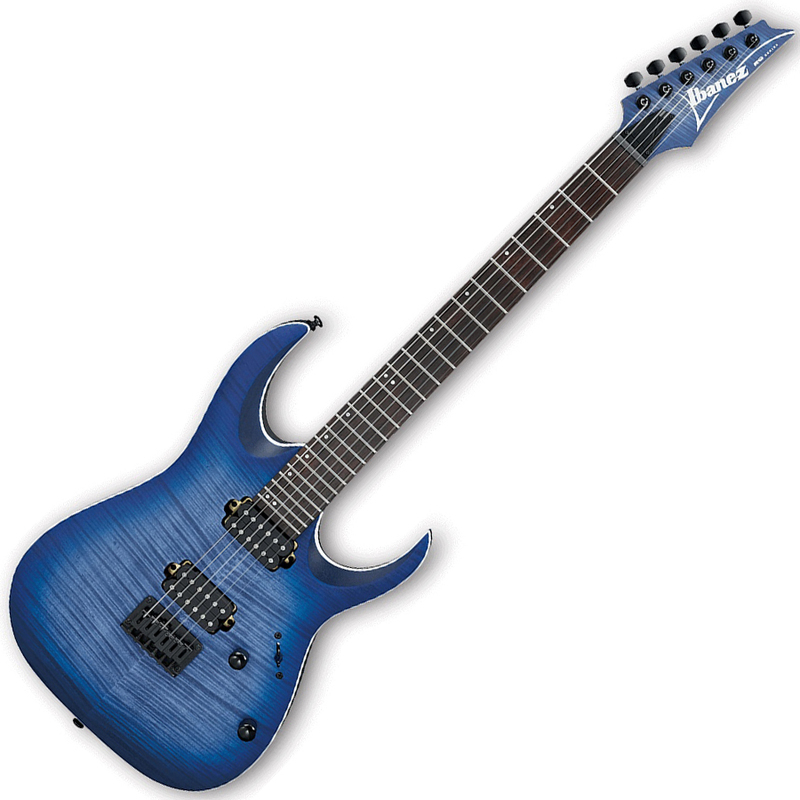 Ibanez RGA42FM-BLF Electric Guitar Blue Lagoon Burst Flat – If Ibanez can lay claim to the title of being the strongest name in Metal guitars, then the RGA is the model this reputation was built on. Every inch of this classic screams speed, fury, and expression. The RGA42FM is a hardtail, 6-string electric guitar that features a sultry Flamed Maple top with a white binding; a fast, thin Wizard III Maple neck; and a Rosewood fretboard with jumbo frets for maximum left-hand performance. 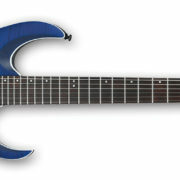 Ibanez RGA42FM-BLF Electric Guitar Blue Lagoon Burst Flat - If Ibanez can lay claim to the title of being the strongest name in Metal guitars, then the RGA is the model this reputation was built on. Every inch of this classic screams speed, fury, and expression. Combined, the neck and fretboard provide a smooth, inviting playing surface and contribute to the RGA42’s warm, well-defined tonality. Also the directly mounted proprietary Quantum pickups offer an entire palette of thick, distorted tone textures that never sacrifice high-end articulation. A simple yet solid fixed bridge provides stable, dependable tuning and accurate intonation.